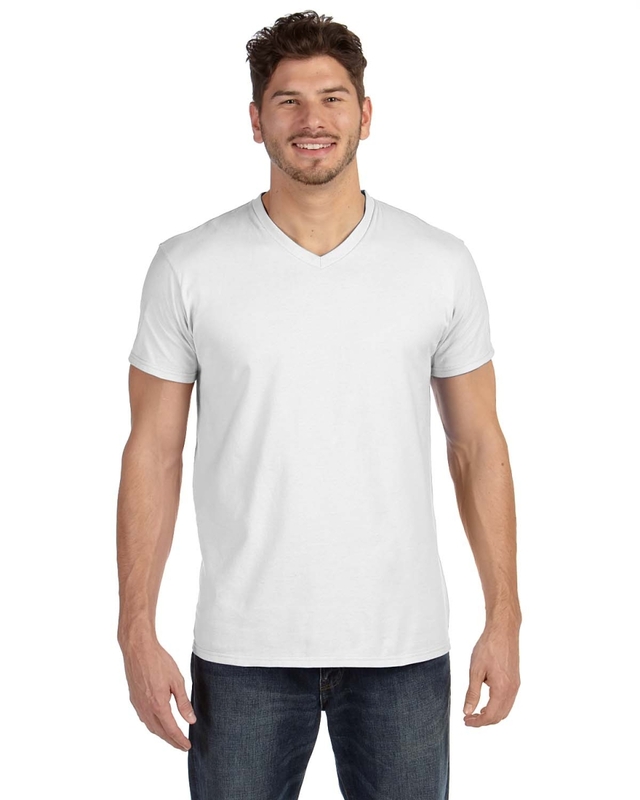 The 498V Hanes 4.5 oz., 100% Ringspun Cotton nano-T® V-Neck T-Shirt is a fashion fit, pre-shrunk tee that still has the comfort and breathability you've come to expect from Hanes. The 498V has a modern, contemporary fit along with a narrower ribbeld color without coverseaming. Tag-free neck label and available in mulitple colors, the Hanes 498V is also great for custom screen printing.